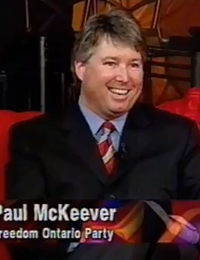 “…Whereas the Liberals’ Judi Longfield and Progressive Conservatives’ Christine Elliott have been campaigning on more taxpayer funding for a failing government health insurance monopoly (OHIP) that is reducing rations, McKeever has been campaigning on lower taxes and the restoration of public/private choice in health insurance…” Click here to read the full media release. “Cutting Taxes and legalizing better health care, top Freedom Candidate’s platform…” Click here to read the full media release. 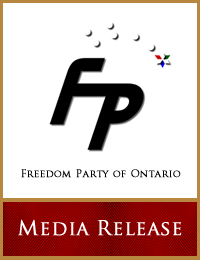 “Freedom Party candidate and leader Paul McKeever today is challenging the Progressive Conservatives’ Christine Elliott and the Liberals’ Judi Longfield to take clear and unequivocal stands on the issues…” Click here to read the full media release. 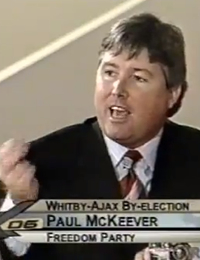 “Freedom Party candidate and leader Paul McKeever today unveiled details of his property tax election plank. Under the proposal, property taxes would be scrapped and replaced with a municipal premium collected with the already-existing PST…” Click here to read the full media release.